NORTH CANTON Last year’s game ended with a running clock. Friday’s game began with Hoover running into a stone wall. A large crowd on the home side of Memorial Stadium was rubbing its eyes after Akron East outgained the Vikings 216 yards to 14 in the first half. When that turned into a 27-20 win, it was believe-in-Dragons time. “To come down here and beat a Federal League team after we gave up 50 points to them last year … that’s a big jump,” said sixth-year East head coach Marquess Hayes. 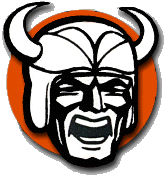 The Vikings embarrassed the Dragons in Game 3 last year but rallied to reach the Division III playoffs and make it to the second round. Hayes has the Dragons well beyond their one-time doormat status. He has attracted players, built chemistry and assembled a big, strong roster that is getting noticed. The Vikings trailed 27-7 in the fourth quarter before flying back in the game and still having a shot until a fourth-down pass from the East 42 flew long. “We need to play more than 3 1/2 quarters of great defense,” Hayes said, “but give North Canton credit. They never quit.” The Dragons showed they meant business by stuffing Hoover senior Luke Reicosky to provide a three-and-out on the game’s first series. On East’s first chance, Floyd ran 27 yards on his first two touches. When Brimage got behind Hoover’s coverage for a 39-yard touchdown, the Dragons led 6-0. Hoover’s second series further encouraged East, whose sideline roared when the 210-pound Collier, playing cornerback, put a fierce hit on 160-pound receiver Sam Bird. East got the ball back. The Vikings (2-1) got a spark on an East third-and-10 when Cameron Logan’s clean rush up the middle forced a hurried pass. Then came a bad exchange on the punt try, with Evan Bauer recovering for the Vikings on the 15. Reicosky ran 13 yards on the next play, and Ben Smith scored on third-and-1. Jonah Cline’s kick gave Hoover a 7-6 lead with 2:32 left in the first quarter. On the final play of the first quarter, though, Collier, having brought the wood on defense, turned on the jets on offense, breaking away for a 52-yard touchdown. It was 14-7 after a 2-point conversion. East cornerback Jerome Hall made a great play to thwart a Hoover deep pass, and East’s big, fast D-line swarmed quarterback John Keller for a sack. Punt. Hoover stayed on the ropes despite two East fumbles. The Dragons kept bouncing runs outside for chunk yardage on offense. On defense, they hammered the Reicosky-Keller running tag team that knocked out Louisville a week earlier. David Horn’s tackle for loss to stop East’s last first-half series was a play the Vikings needed. However, Floyd scurried around the right side for 25 yards on the first play of the second half. On fourth down from the 16, Hoover junior David Forrest broke up a jump ball to Brimage in the end zone. As in the first half, the Vikings could not solve East’s defense. The Dragons left no room to run and no time to throw. Evan Bauer dove on a punt that glanced off the leg of an East player, giving the Vikings the ball on the 41. A missed 36-yard field goal kept the score at 14-7. On the next play, Floyd threw the haymaker. His 81-yard touchdown around the left side provided a 21-7 East lead heading to the fourth quarter. When Hoover punted on fourth-and-23, defensive players coming off the field were getting chest bumps from coaches. Collins went deep over the middle for a touchdown to Jerome Hall and 27-7 lead. At that point, East led 442 yards to 62, and there were seven minutes left. Reicosky finally found a seam and broke a 60-yard touchdown. The Vikings recovered an onside kick, and it was as if a hole had been blasted in the wall. Reicosky scored from 19 yards out, and it was 27-20 with 5:19 left. A 40-yard run by Floyd (at that point he had 193 yards on 21 carries) didn’t end it. Hoover took over on downs on its own 35 with 3:04 left and made the finish exciting.